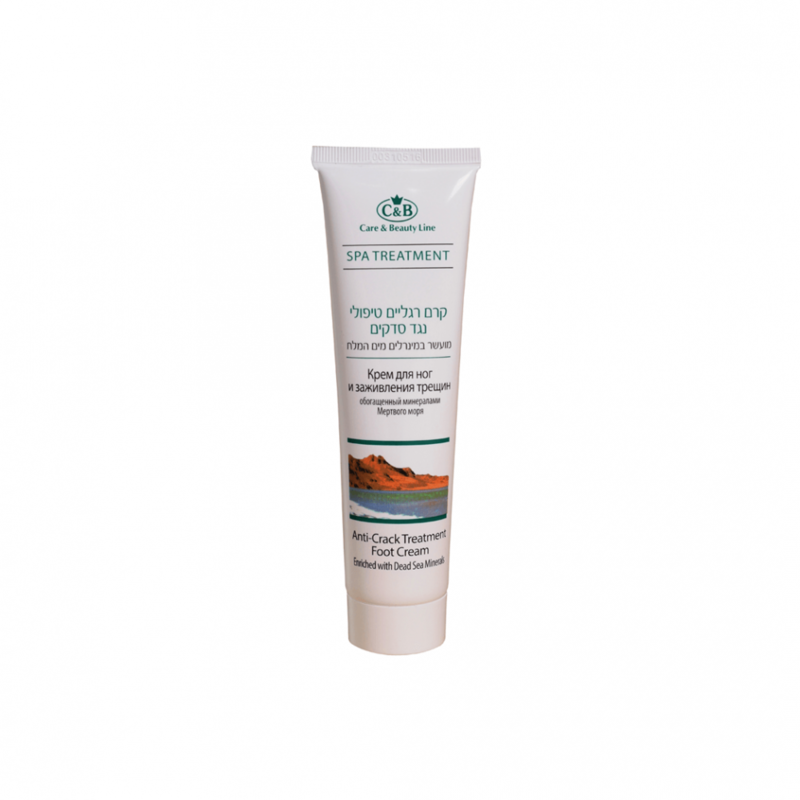 Anti-Crack Treatment Foot Cream designed to protect the foot, enriched with Dead Sea minerals A, E, C and a supplement of natural oils, prevents warts and skin irritations, contains tea tree oil, filled with minerals that help in the removal of dry skin cells and invigorate the absorption of natural ingredients. The foot cream intended for treatment of rough skin and foot cracks. Anti-Crack Treatment Foot Cream designed to protect the foot, enriched with Dead Sea minerals A, E, ..
Anti-crack Treatment Foot Cream designed to protect the foot, enriched Dead Sea mud ..
Anti-crack Treatment Foot Cream designed to protect the foot, enriched Dead Sea mud w..
Anti-crack Treatment Foot Cream designed to protect the foot, enriched with Dead Sea minerals A..
Anti-crack Treatment Foot Cream designed to protect the foot, enriched with Dead Sea mine..
Care & Beauty Line products contain about 21 natural Dead Sea minerals enriched with plenty of vitamins. To ensure the highest quality level, all products undergo a strict production process quality control, and are approved by the Ministry of Health, and carry a mark of quality from the Dead Sea products. Copyright © 2019, Care & Beauty, All Rights Reserved.